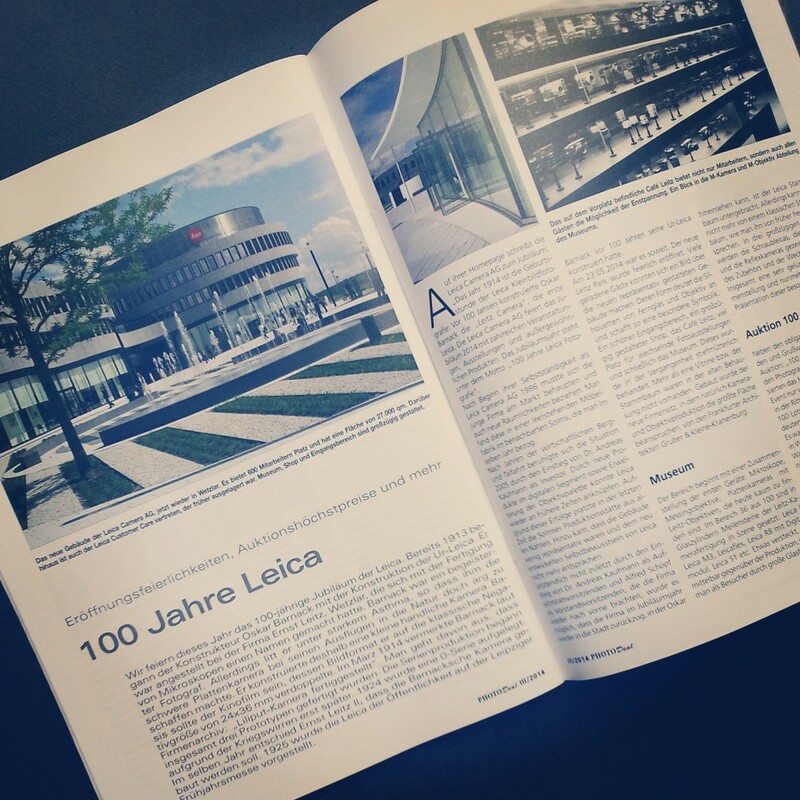 My article 100 Years of Leica is published in the german photographica magazine PhotoDeal. 3 full color pages of this outstanding event. Dieser Beitrag wurde unter Leica, Veröffentlichungen abgelegt am Juli 16, 2014 von nattens. Legendary! This is simply awesome! Not just top quality, however likewise useful info. Which is rare to come by nowadays! I need to say that I am actually impressed as well as will undoubtedly come back again if you keep up the high quality and value of the material at this degree, or perhaps get it on the following level. Regards, from all-time low of my heart, thank you for your time! God bless! Not merely high quality, however also useful details. And that is uncommon to come by these days! I have to say that I am truly satisfied as well as will certainly come back once more if you maintain up the quality and also value of the content at this degree, or also acquire it on the next level.